Brief Synopsis – Batman and Nightwing must team up with the former villain Harley Quinn in order to stop Poison Ivy from changing the environmental structure of the whole world which would kill billions. My Take on it – Ever since I started watching the DC/WB animated superhero films, I have been constantly in awe as to how they have raised the level of animation and storytelling to a point where it is for a more mature audience instead of just for kids. Yes, this film has a few juvenile jokes that may be a bit too much, but overall, the tone is perfect. Loved the way that they reference the 1960’s Batman TV show in numerous scenes both with costumes of the various characters and the onscreen sound effects. The story works really well and it was fun watching this mismatched team try to work together on solving the crime. The best part of this film is clearly Melissa Rauch who steals every scene she is in by her dialogue and more importantly her delivery of that dialogue. She is a great addition to voice work team and I really hope that they continue to use here whenever the character of harley Quinn will be chosen to join in on future storylines. Bottom Line – Another extremely fun and “grown-up” tale from DC/WB. Rauch is a great addition to the voice animated tea,m as Harley Quinn and I hope she continues to voice the character in any future uses of the character. 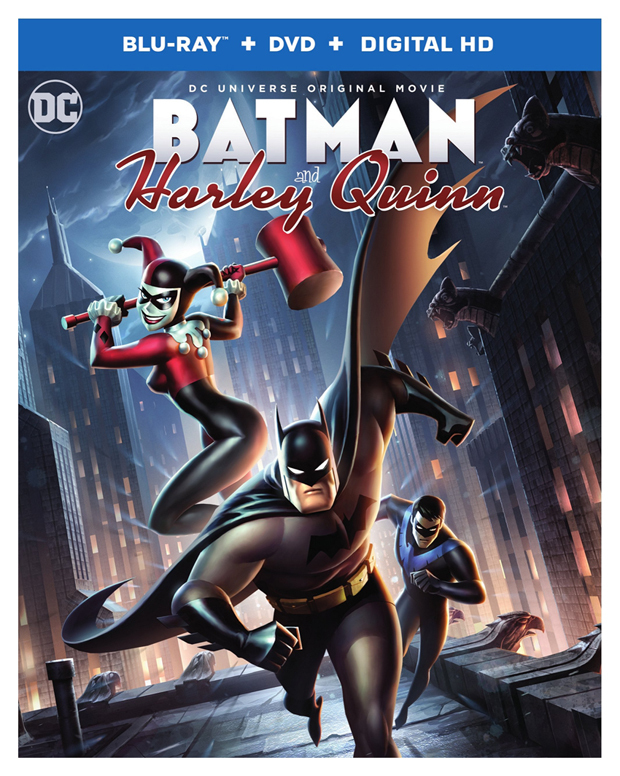 The tone and humor in this film works really well and I loved the refernces to the 1960’s Batman TV show. There are a few jokes that get a bit too juvenile, but overall, they do a great job keeping this story at a mature level which continues the recent tradition of what they have been doing by keeping these films “darker”. Recommended!